Make them all your sweethearts! Your attendees will all be vying to be your Valentine when they get an eyeful of this Valentine’s Day Flyer! 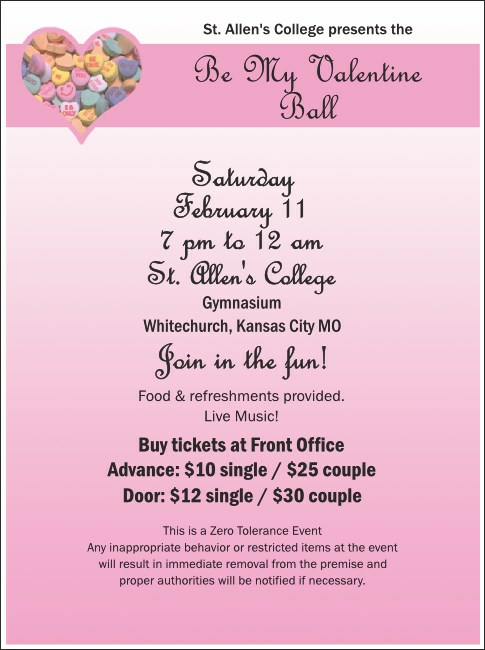 Printed in pretty pinks and pastels, the flyer template features a background of classic candy hearts! Send the perfect message and get ready for a sold out event! Isn’t it sweet? A matching event kit is available through TicketPrinting.com!